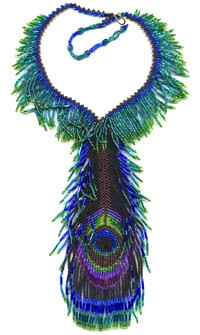 Beaded Peacock Feather Necklace Pattern and Kit! 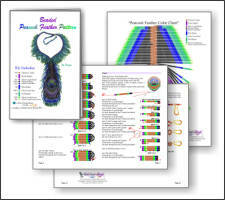 Make your own Beaded Peacock Feather Necklace! 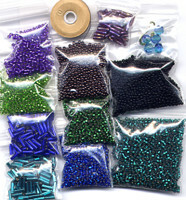 This Beaded Peacock Feather when completed from the split is 7 inches tall, and 2 and 1/2 inches wide at the widest point. The necklace part is 18 inches long. You can easily change the length of the necklace part.